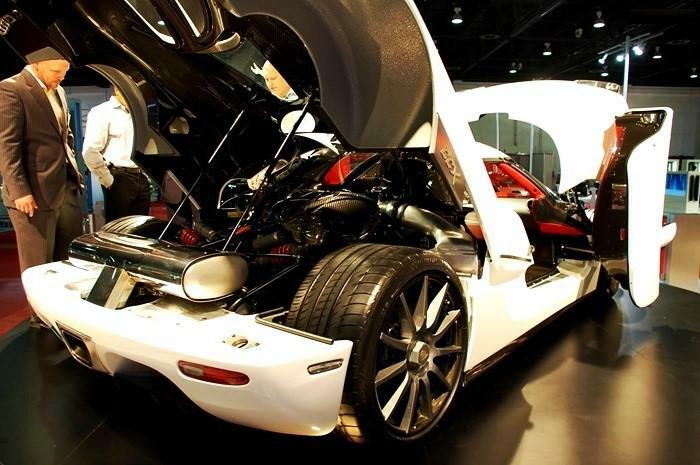 Koenigsegg started building this CCX late 2006 or early 2007 and it was completed in April 2007 at the latest, as it was shipped to Dubai at the end of that month. Chassis number 039 was spotted in May 2007 at Abu Dhabi, Dubai. 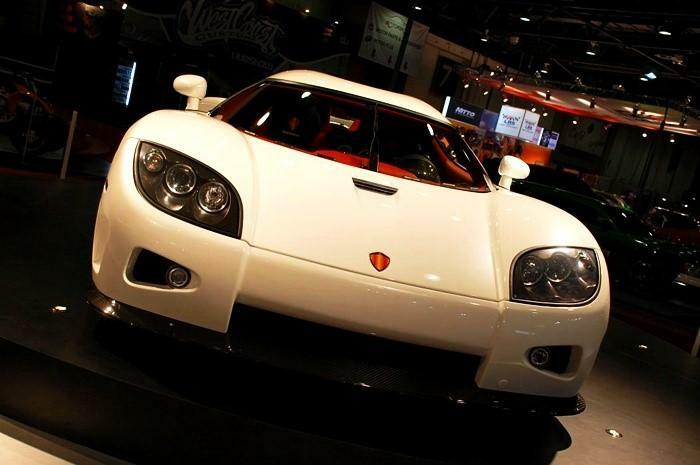 The owner of this white CCX is Crown Prince of Dubai, Hamdan bin Mohammed bin Rashid Al Maktoum aka "Fazza (3)". 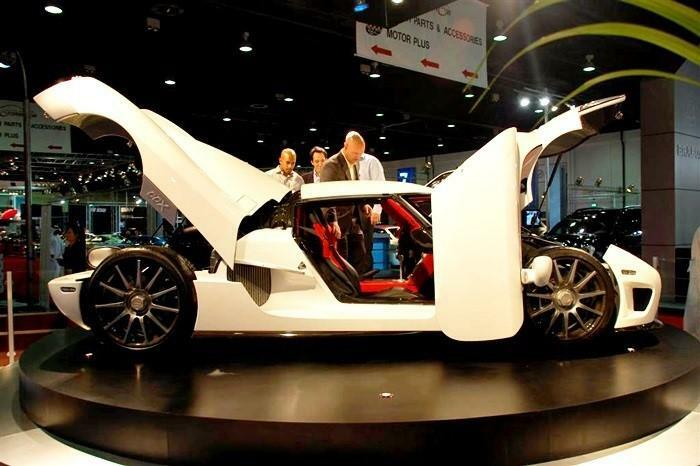 In October 2007, this CCX made its official debut at the showroom of the Al Otaiba Group, the official Koenigsegg representative for the United Arab Emirates. At Otaiba, 039 was joined with Koenigsegg CCX 041 and "revealed" together at the opening of the dealership on November 11, 2007. Later that month it made an appearance, again together with 041, at the 9th Middle East International Motor Show in Dubai, U.A.E. 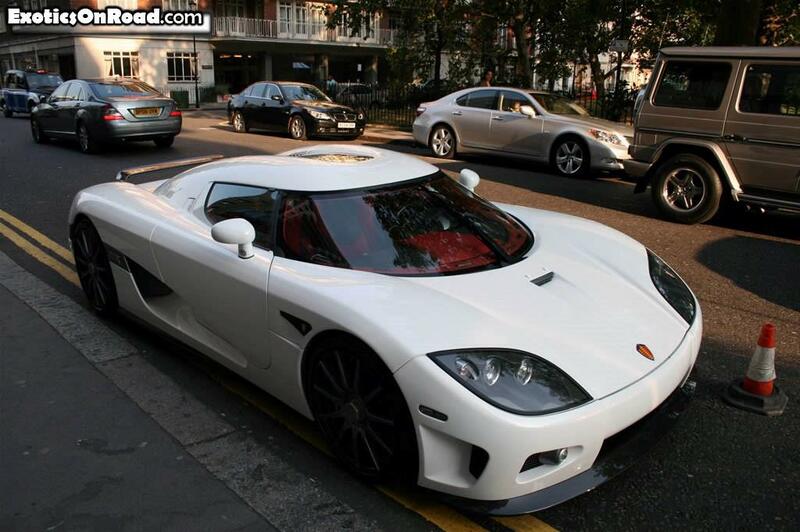 This CCX was spotted again in June 2008, just before heading for London in the United Kingdom for summertime. It was spotted regularly in the second half of July and the beginning of August alongside some other cars of the Maktoum family, most noticeably a Gemballa Mirage GT. The Gemballa has been frequently used and regularly spotted back in Dubai. But not 039, which has never been seen again since spending time in London. Its whereabouts are unclear but 039 is believed to have become part of the Maktoum Car Collection, which allegedly consists of over 1,000 cars. The clear coated carbon front splitter and side sills are a nice contrast with the white exterior color of this CCX. Other features of 039 are the standard 5-hole telephone dial rims, the aluminum brushed CCX script on the model call-out panels on the sides and the absence of a rear wing. The telephone dial rims were quickly exchanged for the Dymag 11-spoke rims and after that, a Top Gear style rear wing was added. Apart from these changes, 039 stayed the same over the years. 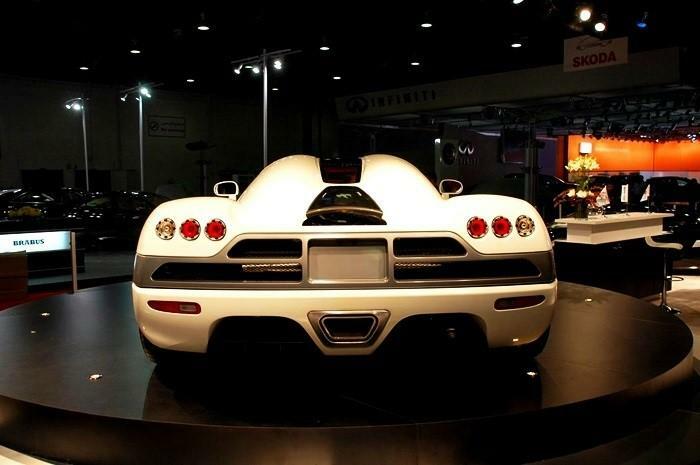 This was the first white Koenigsegg CCX that left the factory. 040, 047, 059, 063 and 070 would follow. Of those white CCXs, 040 and 047 were quite similar as these also had the telephone dial rims and the CCX script on the badges in brushed aluminum when first delivered. But 039 is easily recognized by the absence of the rear wing at first and when it had the rear wing later, the Dymag wheels had already been added to set it apart from both 040 and 047. One CCX that might cause confusion is 063, which also has a red interior but 063 has clear coated carbon bands on the mirrors. 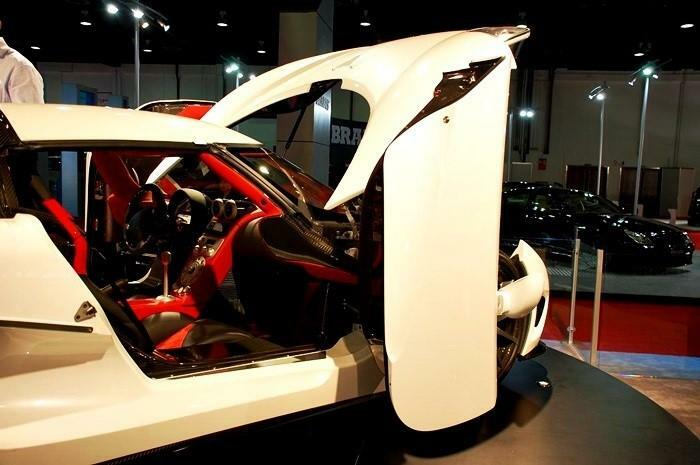 A red and black interior was chosen to go with the white exterior of this CCX. Red is the dominant color as it was used on many parts of the interior, for instance the middle console that extends into the dashboard, the back wall and most of the seats as well as the upper part of the doors. Leaving black for the lower part of the doors and the accents on the seats. The top of the dashboard is not clad with leather or alcantara but carried out in clear coated bare carbon. The interior stayed the same, no alterations were made. 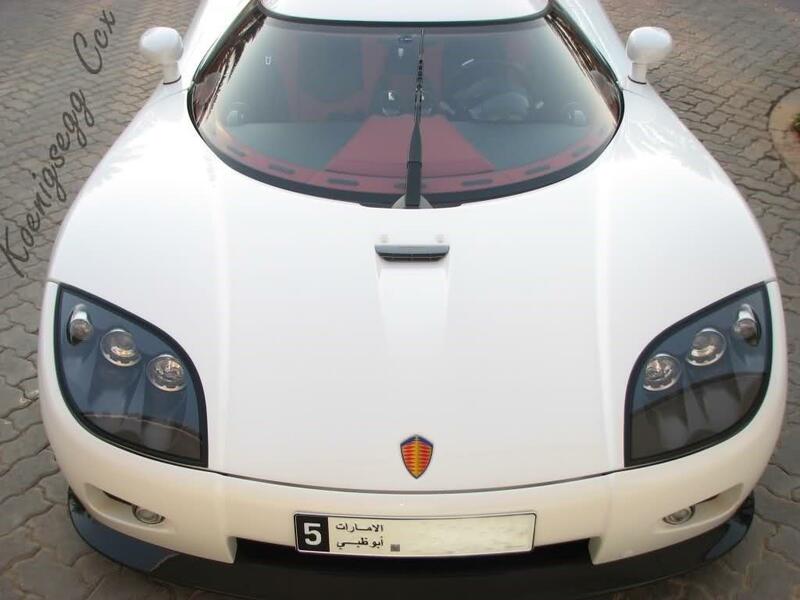 The standard aluminum 4.7 liter V8 CCX engine was used for this CCX, delivering 806 Hp at 7,000 rpm with a maximum torque of 920 Nm (693 ft/lb) at 5,500 rpm. 039 uses the standard 6-Speed manual gearbox.